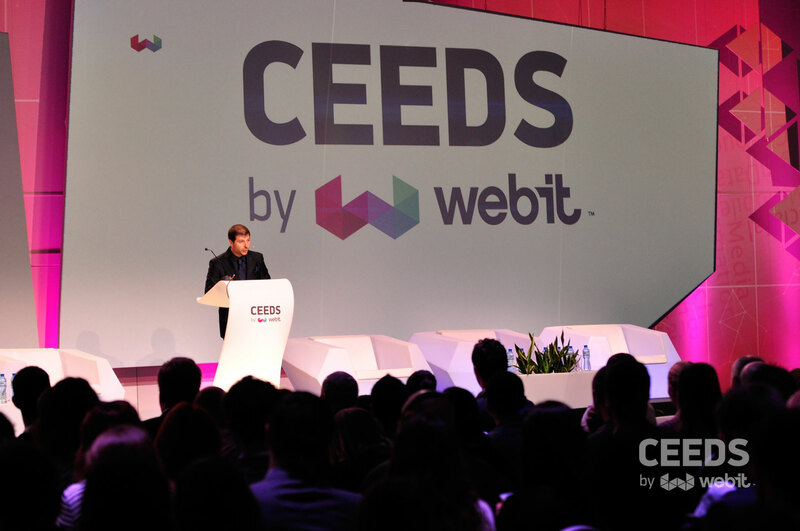 I was in Sofia on the 21st and 22nd of April to give a speech on start-ups and entrepreneurship at the CEED Webit Congress, where I addressed hundreds of entrepreneurs from over 30 countries. The fact that the number of delegates was over 1000 shows great interest in international entrepreneurship and in the ICT community. 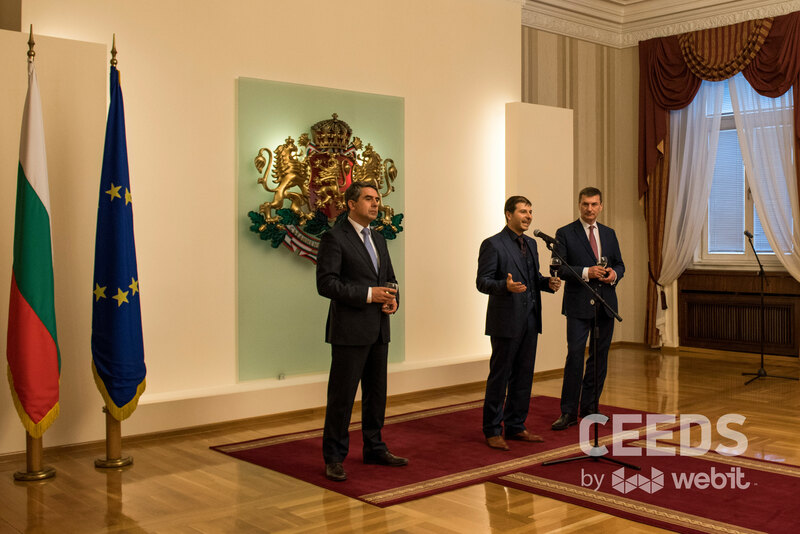 Plemen Russev, Global Chairman & Founder of the Webit Congress, initiated this event seven years ago to foster the entrepreneurial ecosystem of Bulgaria, but now it serves as a global event fostering regional and global ecosystems. Last year in Istanbul over 10,000 start-ups, angel investors, academicians, journalists, and policymakers participated the Webit Congress. Dubai, Jakarta, London chapters will follow the next Istanbul Congress in October 2015. Following the opening gong, struck by the President of Bulgaria, the Congress featured more than 100 speakers from around the globe, including vice-presidents, regional directors and CEOs of Intel, Samsung and Cisco. This was my first trip to Sofia, a special city for Turks because Mustafa Kemal Ataturk, the founder of modern Turkey, had once been a young military attaché to this lovely city and was known to have had a girlfriend from Sofia. I was now in the city that I had previously known only from my elementary school history lessons. Bulgaria has an emerging market economy in the upper-middle income range, where the private sector accounts for more than 80 per cent of GDP. From a largely agricultural country with a predominantly rural population in 1948, by the 1980s Bulgaria had transformed into an industrial economy with scientific and technological research at the top of its budgetary expenditure priorities. The loss of COMECON markets in 1990 and the subsequent ‘shock therapy’ of the planned system caused a steep decline in industrial and agricultural production, ultimately followed by an economic collapse in 1997. The economy largely recovered during a period of rapid growth several years later, but the average salary remains one of the lowest in the EU at 820 leva (€419) per month in September 2014. More than a fifth of the labour force are employed at a minimum wage of €1 per hour. Wages, however, account for only half of the total household income, owing to the substantial informal economy, which amounts to almost 32% of GDP. The Bulgarian PPS GDP per capita stood at 47 per cent of the EU average in 2013 according to Eurostat data, while the cost of living was 48 per cent of the average. The currency is the lev, which is pegged to the euro at a rate of 1.95583 levа for 1 euro. Bulgaria is not part of the Eurozone and has abandoned its plans to adopt the euro. Economic indicators worsened amid the financial crisis of the late-2000s. After several consecutive years of high growth, the GDP contracted by 5.5 per cent in 2009 and unemployment remains above 12 per cent. Industrial output declined 10 per cent, mining by 31 per cent, and ferrous and metal production marked a 60 per cent drop. Positive growth was restored in 2010, although investments and consumption continue to decline steadily due to rising unemployment. The same year, intercompany debt exceeded €51 billion, meaning that 60 per cent of all Bulgarian companies were mutually indebted. By 2012, it had increased to €83 billion, or 227 per cent of GDP. The government implemented strict austerity measures with IMF and EU encouragement to some positive fiscal results, but the social consequences of these measures have been ‘catastrophic’, according to the International Trade Union Confederation. Corruption remains another obstacle to economic growth. Bulgaria is one of the most corrupt European Union members and ranks 75th in the Corruption Perceptions Index. Weak law enforcement and the overall low capacity of the civil service remain as challenges to curbing corruption. However, fighting against corruption has become the focus of the government because of the EU accession, and several anti-corruption programs have been undertaken by different government agencies. Economic activities are fostered by the lowest personal and corporate income tax rates in the EU, and the second-lowest public debt of all member states at 16.5 per cent of GDP in 2012. In 2013, GDP (PPP) was estimated at $119.6 billion, with a per capita value of $16,518. 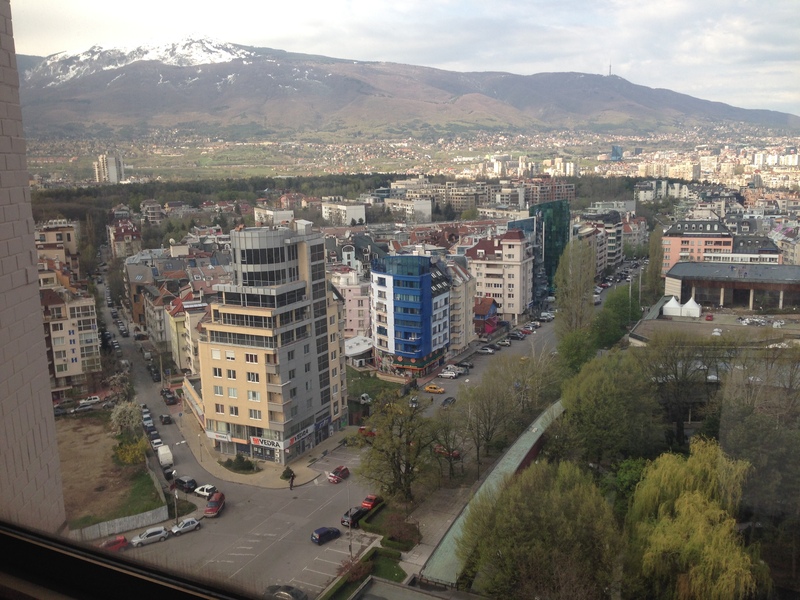 Sofia and the surrounding Yugozapaden planning area are the most developed regions of the country, with a per capita PPS GDP of $27,282 in 2011. Bulgaria is a net receiver of funds from the EU. The absolute amount of received funds was €589 million in 2009. Sofia is the 14th largest city in the European Union with population of around 1.3 million. It has been ranked by the Globalization and World Cities Research Network as a Beta city. Many of the major universities, cultural institutions and commercial companies of Bulgaria are concentrated in Sofia. Sofia is the economic heart of Bulgaria and home to most major Bulgarian and international companies operating in the country, as well as the Bulgarian National Bank and the Bulgarian Stock Exchange. The city and its surrounding Yugozapaden NUTS II planning region have a PPS GDP of €18,400, making it the most developed region in the country. In 2008, the average per capita annual income was 4,572 leva ($3,479). For the same year, the strongest sectors of the city’s economy in terms of annual production were manufacturing ($5.5 bln. ), metallurgy ($1.84 bln. ), electricity, gas and water supply ($1.6 bln.) and food and beverages ($778 mln.). Economic output in 2011 amounted to 15.9 billion leva, or $11.04 billion. Increasingly, Sofia is becoming an outsourcing destination for multinational companies, among them IBM, Hewlett-Packard, SAP, Siemens, Software AG. Bulgaria Air – the national airline of Bulgaria, has its head office on the grounds of the Sofia airport. From 2007 to 2011, the city attracted a cumulative total of $11,6 billion in foreign direct investment. In 2007 the global voice of the early stage market of Bulgaria was founded by Plamen Russev. His book Power to the People: The New Marketing inspired many young members of the entrepreneurship ecosystem. 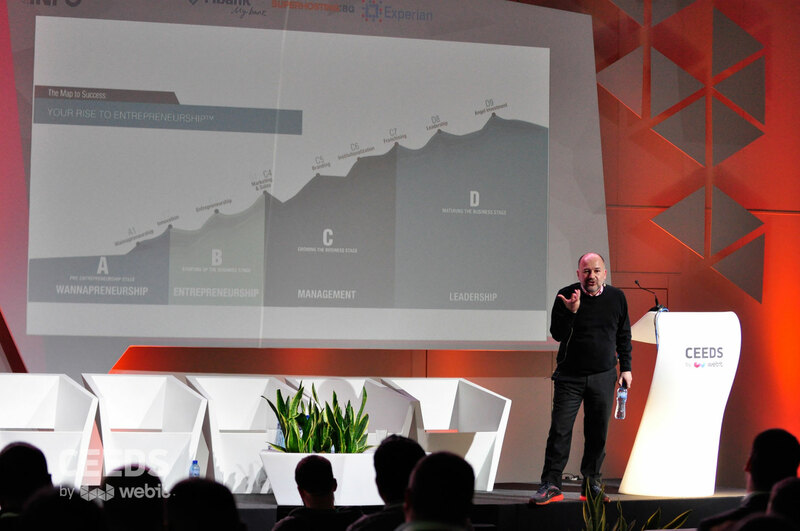 Webit comprises a number of premium digital and tech events held in EMEA and Asia. The flagship event, the Global Webit Congress, grew from 500 attendees in 2009 to 10,000 in 2014. The Conress has provided a platform to hundreds of industry players to network and grow and to thousands of industry professionals to connect and learn from the world’s biggest and most innovative companies. 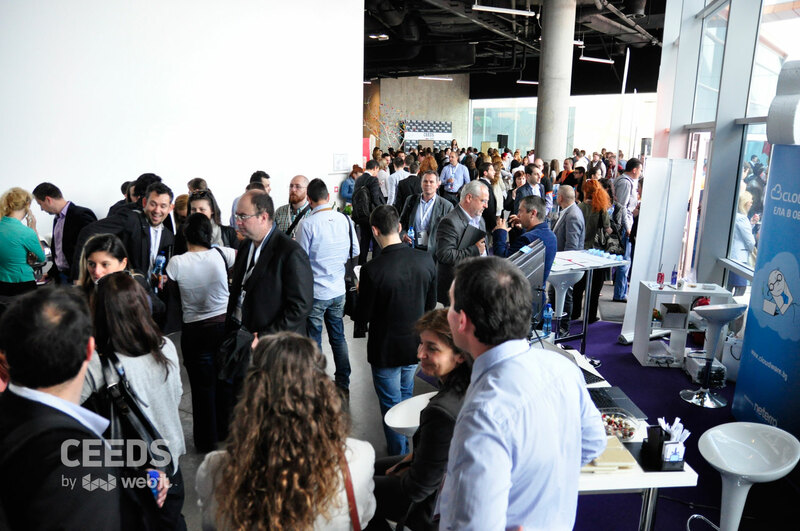 Over 35,000 visitors have already attended a Webit event somewhere around the world. Hundreds of start-ups and entrepreneurs have been helped to meet potential investors, raise money, get publicity and regional/global media coverage and/or connect with strategic partner/client. 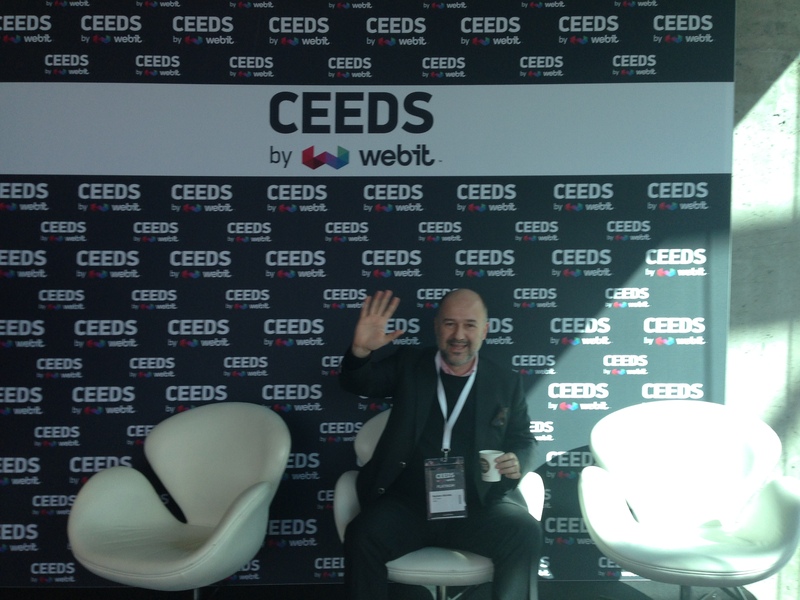 The following events are organized by the Webit Team, led by Plamen Russev. Description: Connecting the Digital Marketing Industry and the Start-up Ecosystem from Central and Eastern Europe. Description: Plotting the future of the Digital Commerce in the MENA region. 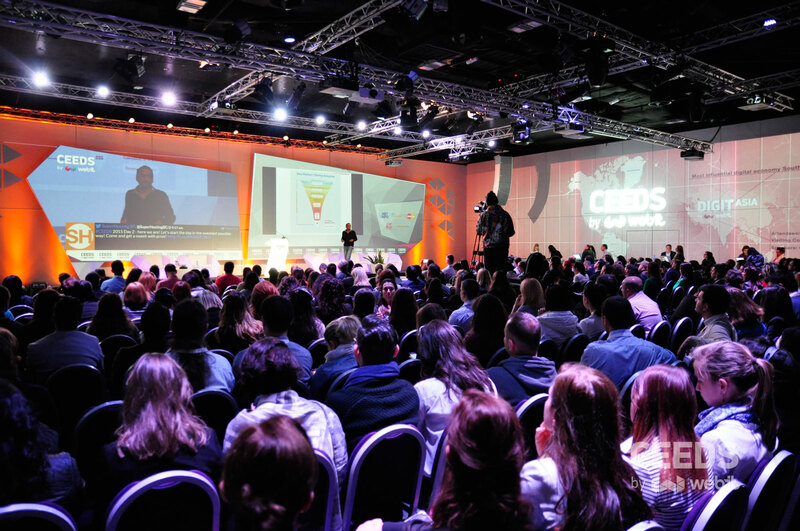 Description: One of the world’s premier and most-attended events for the digital marketing industry. Description: The premier EMEA & Asia Tech event designed to foster connections with disruptive start-ups, top talents, investors and CEOs of the world’s most innovative companies. Description: The Webit Internet of Things Hackathon is for developers who are interested in building relationships with technology platforms, gaining knowledge on a variety of topics, from operating systems and APIs, to app stores and monetisation or designing software for devices and consumer electronics. Description: a global platform supported by tens of associations, accelerator programs and VCs, aiming to endorse the entrepreneurial spirit and the most successful, unique and talented start-ups from Western Europe, Central and Eastern Europe, the Nordic countries, the CIS, the Middle East, Israel, India and rest of Asia and Africa. I arrived at the Sofia airport at 8:30 a.m. after a 55-minute flight from Istanbul. It was a pleasant morning flight via Turkish Airlines, with breakfast service for business class passengers. After a quick pass through passport control, I was at the exit gate of the airport, where Nikolai, a successful fund management expert, was waiting for me. He took me directly to my hotel. 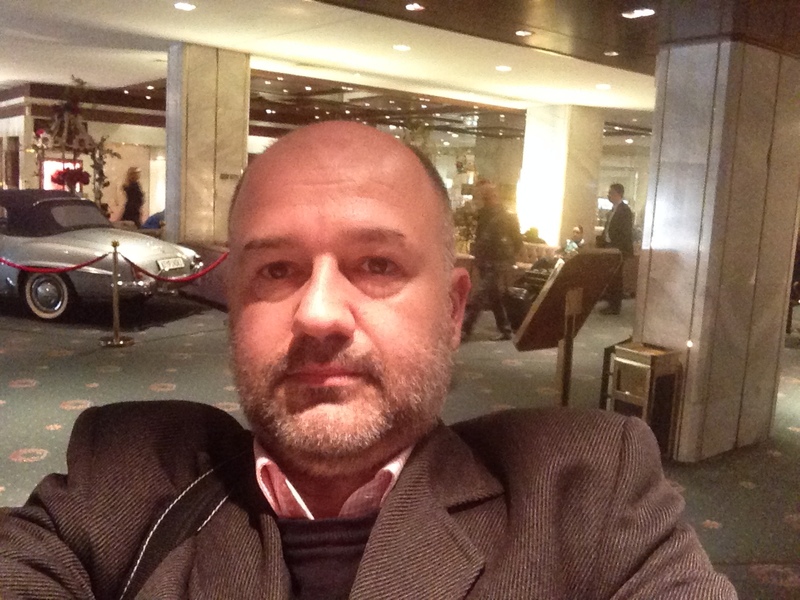 I was able to chat with Nikola about the early stage market of Bulgaria. Even though I was the only guest at the reception desk, it took half an hour to complete the check-in procedures. I left my baggage in my room on the 12th floor, which had a city view, and then immediately left to go to the Paradise Center, the venue for the Webit Congress. Nikolai and I arrived at the Paradise Center on time for the 10 a.m. opening and I was in the main room, where Plamen Russev was making the opening speech of the congress. The night before, there had been a special reception with the striking of a gong to officially open the Congress. The President of Bulgaria honoured the event by his presence. 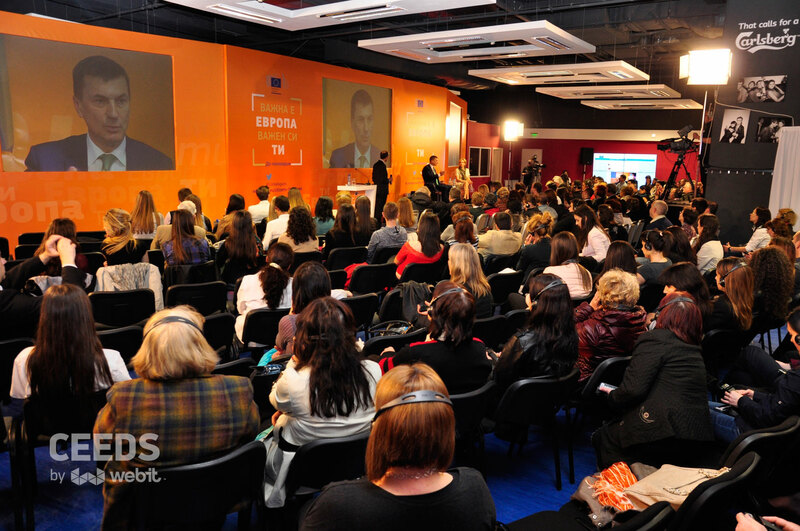 After Plemen’s opening speech,Andrus Ansip – Vice President, European Commission, made his remarks. My speech, at 4:45 p.m., was about the rising steps of start-ups and entrepreneurs. After the speeches ended at 5:30 p.m. I attended the Chairman’s Dinner at the Italian Restaurant in the same venue. Until 7:30 p.m., I paid a visit to the shopping center and chatted with Aleksander, originally from Germany but living in Sofia for the last 17 years. It was a wonderful 60 minutes with him and it created an opportunity for both of us to brainstorm about new business projects together, mainly about the translation of my book into German. Plemen had organised this dinner for the speakers of the Congress. It was an enjoyable dinner with lovely people to chat with — especially Bernd from Germany, with his sense of humour and Samuel from Finland, with his very appealing business idea for Turkey made the dinner conversation very enjoyable. 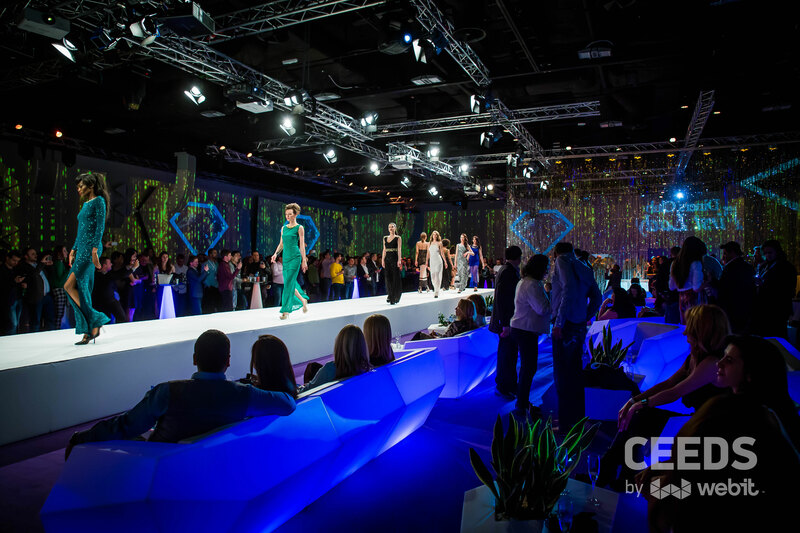 Now it was time to attend the Fashion TV party, reportedly the most attractive part of the Congress. Because I was a little tired, I left the party a bit early, around 11:30 p.m. I was awakened around 9 a.m. with a telephone call from Istanbul and managed to complete my check-out in 30 minutes and get into a taxi around 9:30. I asked the taxi driver to take me via downtown Sofia so as to have an idea about the city. This was my first visit to Sofia and I didn’t want to leave the city having seen only the Paradise Center and the Kempinski Hotel. After a 30-minute drive through the city center, I at least had an idea about how the city was laid out. 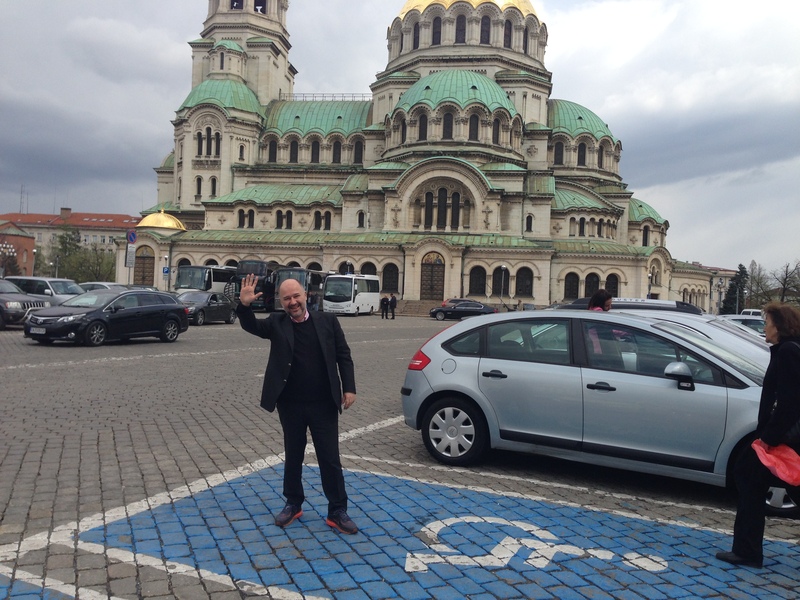 In brief: Sofia is a very pleasing city. Around 10 a.m., the taxi dropped me off at the Paradise Center, where the Webit Congress was to take place on the 5th floor. I met with my many friends from various countries during this Congress: Tanya from Macedonia, Alex from Serbia, and Marius from Romania were just a few of them. The Congress ended around 5 p.m. and I took a taxi to the airport. If you explain to taxi drivers in Sofia that you are from Turkey and if the taxi driver speaks a even a bit of English, they are ready to give you a 20-minute non-stop-talking short course, including many commentsJ about the history of Turkey and BulgariaJ After checking in at the Turkish Airlines desk, I made my way to the CIP lounge of the Sofia airport. I would like to congratulate Plemen and his team for this great work and invite all of you to follow Webit Congresses in the world. The next one will be in Istanbul in October. See you in Istanbul, and don’t forget to send me a message before you come!